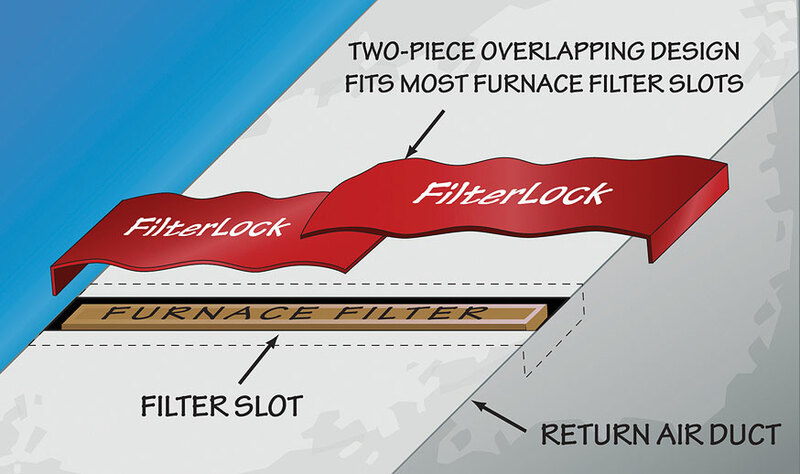 FilterLOCK® seals standard furnace and A/C filter slots. Overlapping two-piece design fits filters up to 25". Built-in magnetic fasteners hold FilterLOCK securely in place on top or side of metal duct.